Don't rely on it to keep you safe. Battery intensive; Doesn't work without SIM card; Cumbersome to install; Takes a long time to send out SMS alerts; Buggy interface. 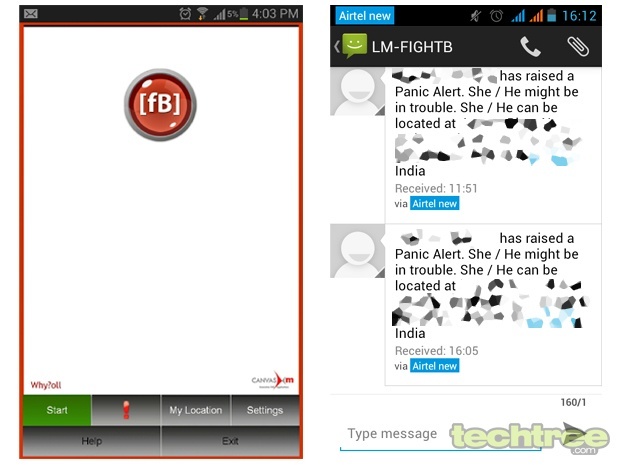 FightBack uses GPS, SMS, data connectivity (GPRS or 3G), email, and Facebook account details to function. The app works with Symbian, Android and BlackBerry handsets, but we've picked the Android app for review. Unfortunately the app refused to budge on a Nokia Asha 200, Micromax Canvas A110, and a Sony Xperia miro. But it worked quite well for a (male) colleague (how ironic!) on his Samsung GALAXY Note. Anyway, let's get on with the review. The app seemed to warm up to my colleague and not to me, throwing the app in an un-ending loop. Setting up the app is quite a demanding task, especially if you do it through a PC. You'll have to go to www.fightbackmobile.com and setup an account with your phone number and Facebook account credentials. Hunt for your handset on the list and punch in your phone number. The link then lands in your inbox via SMS. 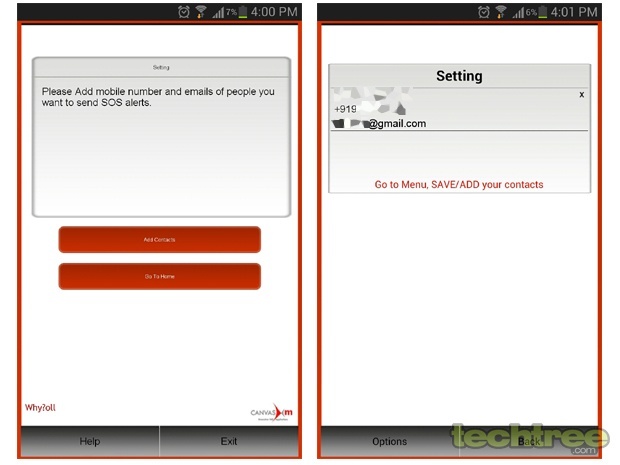 Once installed you can set up contacts who get your SOS messages. Note, if you are using your Android device like an entertainment gadget and not a communication medium per se (sans a SIM that is), then the app will not work. You need to keep your 2G/3G data connection (or Wi-Fi) and GPS on for the app to work. Note that these are all battery-intensive functions. So a standard Android handset, which is usually low on battery backup, will run out of juice more rapidly. The app doesn’t offer any shortcuts to start these devices, so you'll either have to keep them all running at the cost of your phone's battery, or just hope that the "bad guys" give you some time out to tinker around with your phone. If they are that benevolent, then I suggest you take some time out to memorise how to get these features started — not all Android phones are alike. When you actually get all these up, and then run the app and eventually hit the red [fB] button (let's hope your phone doesn’t lag when multitasking either) a dialogue box that count down from five to one appears with a cancel button (if it’s a false alarm, you can change your mind), and then sends an alert. The alert that gets generated sends the name of the nearest identifiable locality via SMS to saved contacts. If you have saved an email-id as well, then the app sends an email with a Google Maps's link that bears your general location. Since GPS is active, it should ideally also track your movements (which it does not seem to). If you have enabled post to Facebook, it will also post details to your profile. 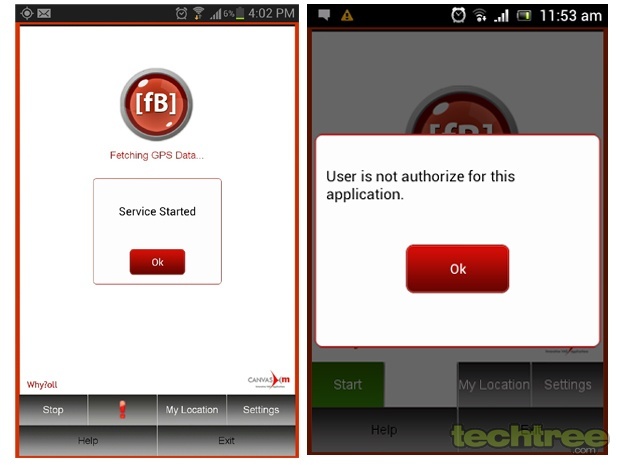 As is true with all location tracing apps, and looking at how active hacking groups are these days in the country, you can only hope and pray that the developers of the service (like others in its class) have a strong safety mechanism to protect your data. You never know what the consequences of accidently send out alerts can be — let's just hope your house doesn’t get burgled when you are away, or get robbed because the "bad guys" know just where to find you! Even if you manage to get the app to work it does not seem to be of great help. It eats up too much of battery power, does not track location in realtime, and getting the app to quickly send out an SOS is not a straight forward process. But if this app is all you have to rely on, we suggest to keep a can of pepper spray handy.